Turning Unit Sperry Marine 30 Kw S Band. Smartfind GMDSS (Global Maritime Distress and Safety System) NAVTEX is an IMO mandatory fit automatic maritime safety and weather information receiver. NAVTEX provides shipping and other marine users with vital navigational warnings, meteorological information and urgent safety information. We are the foremost organization of Marine Hydraulics. These products are developed by professionals employing the advanced techniques and finest quality material, which is procured from trustworthy sellers of industry. Amafhh Impex is a one stop destination for availing the best quality used, unused Marine Engine & It's Spares, Marine Generators, Marine Compressors, Marine Turbocharger, Oil Purifiers, Fresh Water Generator, Hydraulic Equipment, Regulating Governor, Heat Exchanger, Oil Mist Dictator. We are the supplier and exporter of marine machinery and spare parts as per the customer requirements. We provide machinery and spareparts of all the company. M/s Nortrans Pvt Ltd is recognized as the leading stockiest and supplier of new/ used spare parts for main and auxiliary ship engines. 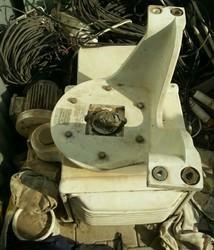 We export the widest range of used marine machinery, spares and equipments of all types and makes. All the equipments are salvaged from Indian ship breaking yards and are in excellent condition. Lloyds Steel in Technical cooperation agreement with FMC Technologies France supplies various Marine, Truck / Rail Loading arms for LPG, Petroleum / Chemical products & Sulpher loading arms, Piggable and Manifold systems. - FMC provides design and drawings and backup guarantee. 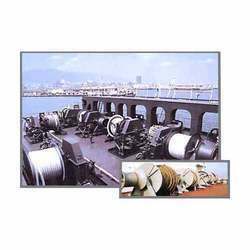 We supply Marine Machinery Equipment, which is used in various ships and marine machines. All the equipments are manufactured by standard companies and from ship, Our customer centric business strategies have brought us among the leading Coastal Marine Equipment Exporters and Marine Electrical Machinery Equipment Suppliers.